Libby Pritchett Designs: The Sweet Shoppe Sundae Bar is OPEN! The Sweet Shoppe Sundae Bar is OPEN! Boy, do we have a treat for you! This week, we are doing something brand new, and I think you're going to love it! It's the Sweet Shoppe Sundae Bar, and I have to say... it's pretty amazing! 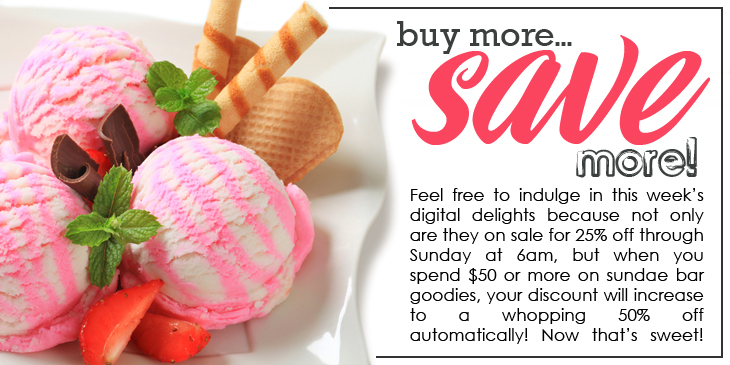 We have 4 flavors of sundaes to choose from, and each flavor is packed full of beautiful digi goodies that coordinate perfectly. So, choose a flavor (or 4!) and mix and match til your heart's content! 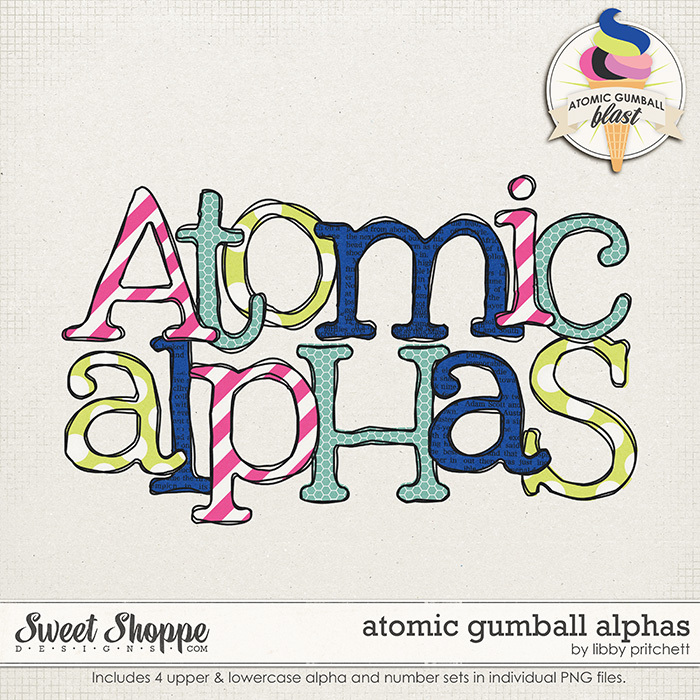 This week, I have FOUR products which are all part of the Atomic Gumball Blast flavor. Check them out! 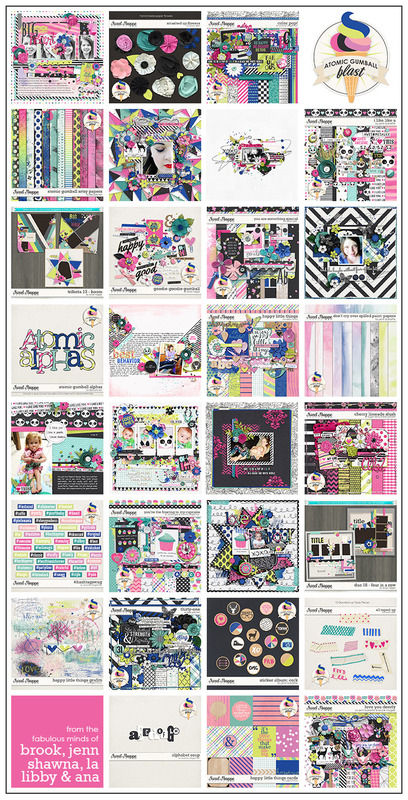 Take a peek at what they look like all together with the other coordinating products. I want to play with them all! 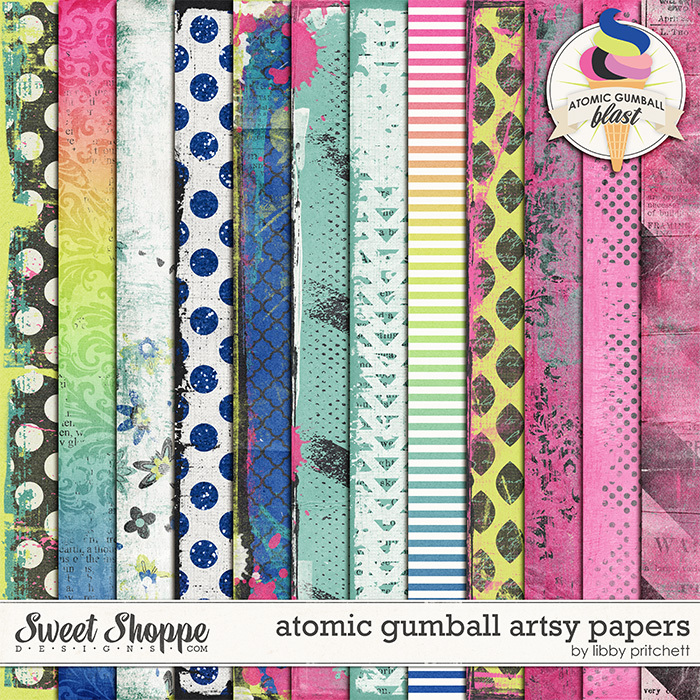 If you want to see even more samples using this fabulous line, check out my facebook albumfor this kit OR the pin board we set up specifically for the Atomic Gumball Blast goodies! You can grab all of these products for a super sweet 25% off until Sunday morning at 6am EST, but that's not all! When you spend $50 or more in the Sweet Shoppe Sundae bar any time between now and 2/26, your discount will automatically increase to a whopping 50% off. So feel free to treat yourself to something delicious this week! It's important to note, that you must click the view cart link to look at your shopping cart page to see the correct and updated pricing as discounts and promotions often aren't applied until you do. Once you reach the $50 shopping tier, prices on Sundae Bar items will automatically show the correct 50% discount on the shopping cart page. This discount is not in addition to the 25% new release discount this week, it replaces it. If you continue to shoppe after the 50% discount has been applied, more substantial discounts may be shown on the product pages. These deep discounts are a display error and will not be honored. That's it from me! Hope you enjoy this super sweet treat as we continue to celebrate Sweet Shoppe's 9th birthday!